Tarharqa ram of Amun: Ram of Amun outside the shrine of Taharqa. Nobody knew when it had started, or even why it had started at the time it did. I did not know either. The only thing that was known was that some had become to lose the third dimension. 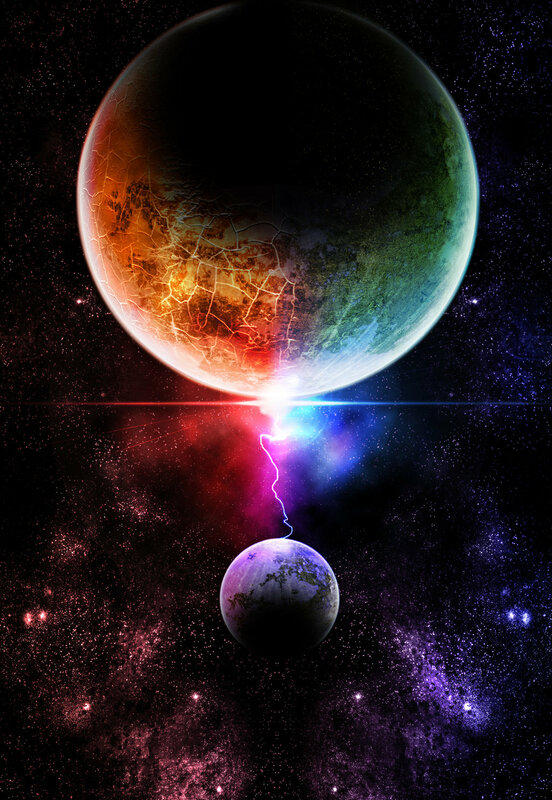 Everyone thought it was temporary, a transient madness and then they will have the third dimension back. I was not there then. I could not have thought so as I was not there. Who was there that knew and saw it coming. None are alive today. I wish they were. They could have told us a lot. After all, who would have thought that it would be so easy to lose the third dimension? Yes the third dimension. It is the number 3 not 1 not 2 but 3, a life giving 3. Anyways, why it started on our land, no one knows. Do you know why? I do not know. But it started on our land known as Ta Kem. Ta Kem was the first that brought order out of chaos. Out of memory, it created the symbols of memory, so that anyone who taught could read memory. Thus the third dimension could be persevered, it could be passed on. It gave depth to life, it gave self-confidence, yes self-confidence. It seems so rare today in Ta Kem. Even Ta Kem itself seems so rare. But it happened, it was a slow process in the beginning, very few noticed it. People began to lose the third dimension. Now they could only see, left and right, front and back. They could not see up or down. Ah, up or down, up the sky- dreams, the birds, and the stars; down the earth- the gold, the diamonds, trees, and vegetation green, yes green. It is scary to just see left or right, front or back and not up or down. They became two dimensional. How could that be? They had two hands, two legs, two eyes, not three, not four but two of everything. But still they could not see up or down. Then the catastrophe happened. No one knew where they came from, but they called them the Franks or they called themselves the Franks. Do you know why? I do not know. I do not think you also know. They carried destruction, rage and pillage. Many of our people died, some went mad, some regressed and became like children. I did not suffer that fate. I was not there. But it was bad, so bad that the old men and women who would retell the stories would cry. I would cry too. Sometimes I like to cry. It is good to cry. Do your cry too? The Franks, they came for trade they said. Some of our people traded with them. Of our people, those who were still three dimensional began to lose the third dimension. But it was a slow process as many processes are. Our people all did not all lose all of the third dimension all of the time. It was weird. Some lost just half of it. They became 2 and a half dimensional, now they could either see up or down but not both. Those we called 2 dimensionals. Some lost just a third of the third dimension, now they could see just a third of up or just a third of down but not both. Those we called the 2 dimensionals. It was funny. If they could see just a third of up, then their dreams were only a third of a proper dream, not a full dream. They could only see a third of a bird or a third of a star. If they could see just a third of down, then they could only see just a third of vegetation or a third of a tree or a third of gold. There were many such fractions of the third dimension in our people. What are you? I know my fraction. Do you know yours? Mine is a good one. Is yours a good one or a bad one? I can see more of a dream, more of the sky, more of the vegetation, more of the gold, yes more of the diamonds of our people. We began to notice. The process or the beginning of the process of the loss of the third dimension accelerated when one went to a school set up by the Franks. They told our people that they were two dimensional but could become three dimensional if they came to their schools and in the course of it, accepted their vision of God. It was a bonus credit of gaining the third dimension, so they said. Many of our people were confused. Many were still three dimensional, especially the ones in the countryside or who had fled to the countryside to preserve their third dimension. Ah, the countryside, the village hearth, the ancestral shrines. I have been there not once, not twice but three times. But many thought – maybe they were after all just two dimensional not three – that if they were three dimensional, maybe they would not have been defeated. It was a false logic! The defeat had just made them lose just of the third dimension. That was chump change. They could gain it back. They would not know that then. Only later would they know. Only later and even then it was their children or the children of their children who would know. 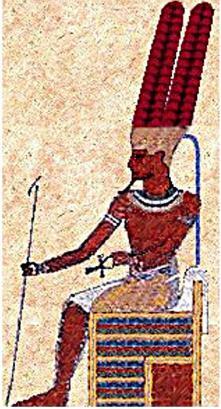 Amun Ra is the African Spiritual God Force whose birthday was celebrated on December 25th in Kemet (The Black Land), 4,100 years before that of Jesus “The Christ”. So they went to the schools. But they did not gain the third dimension. The Franks, ah the Franks, they are devious but clever. They would create a plane of illusion which occupied any slice of the third dimension they wanted. They would then put our people on that plane. Such a clever trick. On such a plane, one could move left, right, front and back. And yes, one had the illusion of being on a high slice of the third dimension. But no! It was a trick, albeit a very clever one. They would lift you, all of you two dimensional and stick you on any plane that intersected the third dimension. But you could still only move left, right, front, back. You could not see up or down. You thought you could but you could not! It was only an apparition. Only later did the members of the Organization began to understand that. Yes the Organization. Why do I talk about the Organization now? It would appear later. I know the Organization. Do you know the Organization? I don’t think you know it. So it was, in the schools, in the “sanctums” of worship set up by the Franks, many of our people began to lose the third dimension. Some lost all of it. They were just the 2 dimensionals. Some lost just a half of the third dimension and became the 2 dimensionals and so on. That was how it was. There remained only a few 3 dimensionals. They kept quiet as they feared the power of the 2 dimensionals. Thus Ta Kem became the flatland, the land of the 2-dimensionals. Everywhere else, outside Ta Kem, people still remained 3 dimensional. They fiercely guarded their third dimension. So it came to be, that everywhere a citizen of Ta Kem went, he was mocked and despised as 2-dimensional. He would be confused, he thought he had gained the third dimension in the schools established by the Franks. But no, he was only seen as 2 dimensional and not 3. We all know 3 is bigger than 2. 2. And this humiliation, this heap of contempt was especially strong in the land of the Franks. Many of the Franks would laugh at him and say “he can’t see up, he can’t see down” or they would say “you 2 dimensional, go back to your flatland!” In desperation or sometimes in love, maybe I do not know, do you know? A citizen of Ta Kem would attempt to marry a Frank land woman. That would raise the rage of the Franks to a 100 degrees. How could someone who could not see up or down marry someone who could see up and down. How could someone who could not see dreams or the sky or diamonds dare to commune with one who could do so? In answer, there were many such Ta Kem citizens. Some would say, I can see the third dimension as I was taught to see it in your schools, others would eat humble pie and say, I am not 2 dimensional, I am 2 + ½ of the third dimension or even more. I will be good and learn to see all of the third dimension if you would teach me. Sometimes it worked, sometimes it did not. All of this did not change anything in essence only maybe in form. No matter what they said, they were stamped with the mark of 2 dimensions. That was how it was. There was nothing the Franks would do about it. They wanted it that way. That was how it was, when I came into being in Ta Kem. I was taught that I could see the third dimension only in the way that the Franks said one could see it and only studying the things that they approved of which would make me see the third dimension. My parents, my mum and dad. Poor them, sweet, good intentioned. They believed they were 2 dimensionals. They wanted me and my brother to gain yet still half of a dimension to be a full 3, not 2 but 3. We all know 2 is smaller than 3. I know that. I know you also know that. I believed just as they believed and studied hard. 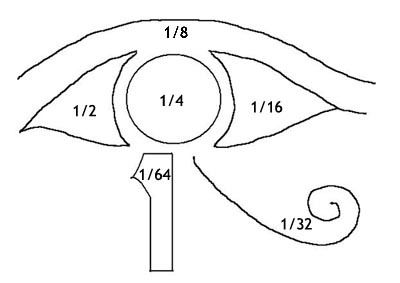 The Eye of Horus – Kemet Fractions, Numbers and Mathematics. 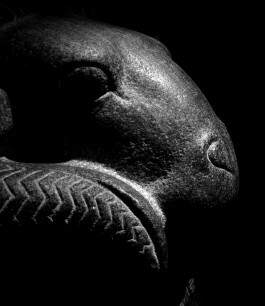 Ancient Kemet – The Mathematics of Numbers. 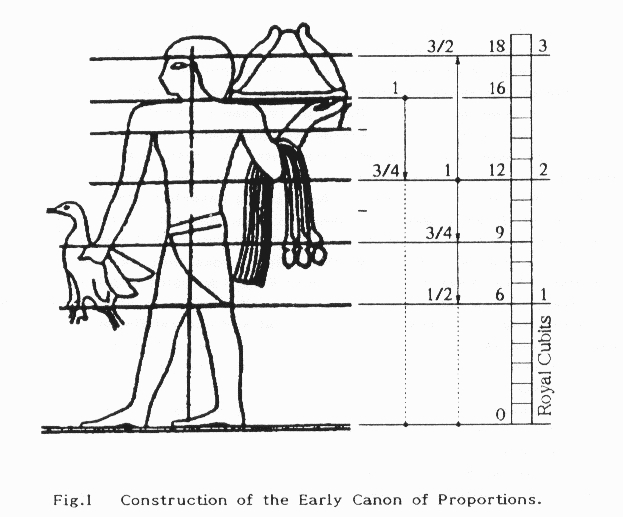 The fundamental Kemetian processes of cord-stretching and halving would have divided the human figure into exactly those fractions which are given by the 18 squares of the grid, and the size of the square would have arisen naturally from a comparison of the different intervals. Then I came to Franks Land. It was to be my initiation into the third dimension. But then it was weird. Yes it was weird. I don’t think you know why, maybe you know but I will still tell you. To tell is good, it cleans the soul. So I will tell you. I could see the fourth dimension although I was not quite a full 3 dimensions! The smartest of the Franks could sense that. They regarded me as a 2 dimensional but in the lecture halls, in conversations with them, at work, they sensed I knew the fourth dimension. Yes the fourth dimension, time. I knew time. I could see time deep into the future. That surprised them. How could that be, one cannot jump from 2 to 4. One must go through 3. I know, you know, they know that we have 2, then 3, then 4. But I knew the fourth dimension. So they set out to destroy me. They knew how to do it. But I was stronger than they thought. I survived the war although scarred by it. I still knew the fourth dimension. They could not take that away from me. So I began to search. I discovered it. Yes the length of the third dimension. Then I knew the truth. They had stolen the third dimension of our people and replaced it with an illusion of the third dimension. That way they could control us. After all 3 is bigger than 2 and 3 still stronger than 2. That was when I met Aha. He would not tell me where he was from in Ta Kem, what had happened to him. He said he used to have many names but now he had only one name Aha. His search for the third dimension had led him to Aha a name of the first king of the first dynasty when our ancestors at the beginning of Ta Kem created order out of chaos, shaped memory with symbols out of shapeless memory. This is why my friend called himself Aha? Did you know that? No, I don’t think so. But I told you. So you now know. It is a lesson for you. You now know a particle of the third dimension. Aha was smart. He was a genius. He hid in his smile an ocean of pain. He had just being like me. He had come to the Land of the Franks for the initiation into the third dimension. Then the Franks had gone to work. He had almost being destroyed. There were times when their attacks seemed successful and he had lost the big fraction of the third dimension which he thought he had acquired from the Franks. Then there were times when he would even lose the second dimension, then he could only see front or back not even left or right. Sometimes in despair, he would even have only half a dimension remaining, he could only see front or back not both. In those times, he contemplated killing himself. But something happened and Aha recovered. Now he was 2dimensional and he could also see the fourth dimension. I and Aha would talk. We would reflect on many things. I remember one such day. The Sun god was shooting forth its last tongues of flames across the evening sky in daily battle with the night god which it would always lose when dusk would settle. We were walking down the hill away from the crown of the hill that stood guard over the town where we then lived. Aha said; Among the Franks, their Establishment, those in the Establishment are pure evil, evil. They are a category of evil not all of evil but a category of it, an important category of it. They had stolen and destroyed the third dimension of our people. They had created a plane of illusion which they would intersect with their own third dimension and put us on that plane like puny little rabbits. If any of us would realize the stupidity of that plane of illusion and try to break free of it, they would in their rage try to destroy your awakening consciousness – your growing third dimension. The Franks could not understand why you wanted to have a third dimension. They would try to push you back onto the plane of illusion or even worse destroy your second dimension sometimes also the first, so that you became zero dimensional. Most of the masses of the Franks were like zombies. They were fed only three things, beer, football and the slogan “We are Three Dimensional, Ta Kem People – Two Dimensional”. But then I remarked, some of the Franks are normal, they wish us well in our fight for dignity, our fight for our third dimension. Aha said, yes that is true. But their Establishment is not normal. They are humanstrosities. I asked Aha what that meant. He told me it was a cross between a human and a monstrosity. I laughed. Aha looked at me and also laughed. I liked the new word humanstrosity. We walked back into town. The night god had won. Aha brought me to The Organization. They were just like him, the illusion of the third dimension that had been fed them had been broken by the convulsion of the shock of pain and rejection. They had discovered the stolen third dimension of our people. They bound themselves by a code they called Maat. Maat has two ‘a’ not one ‘a’, but two of them repeating in succession. They were now 2dimensional not yet 3 dimensional but close to it. And they could all see the fourth dimension. Now I also became 2 dimensional. That is my fraction 9/10 of the third dimension. What is yours? I know mine. So The Organization began to plan the uprising of the two dimensionals, our people in our beloved Ta Kem against the power of the Establishment of the Land of the Franks. Yes the uprising, it begins with the word. The word then takes root and begins to grow the third dimension. They began to publish the Oracle. They called it the Oracle of Siwa. The Oracle would grow the third dimension of our people. Growth is a painful process, it is slow but sure. I know that. But it came, slow but sure, sure but slow. More of our people began to acquire the third dimension. It was good. Some now said they were now 2 dimensional, some now 2dimensional and yes even some 2dimensional like us in The Organization. The most important thing was that there was now a critical mass who had more than half of the third dimension. That was good. More than half. Do you know that more than half of the third dimension is better than just half of the third dimension? I think you know that. I also know that. But you do not know why it is important. I will tell you. Having more than half of the third dimension, they had gained the seed of their self-confidence. Yes the seed of their self-confidence. That would determine the outcome of the uprising. I was happy, now more of our people could see of the sky or a dream, or of a tree or gold. Or some could see of the sky or a dream or of vegetation or a diamond. So we created The Army. It was called The Army of Amun. There were four divisions. Aha commanded the first division. They chose me to command the third division. I don’t’ know why but after all, I like the number 3. You don’t know that but I just told you. We met for the council of war, all of us, the members of The Organization. 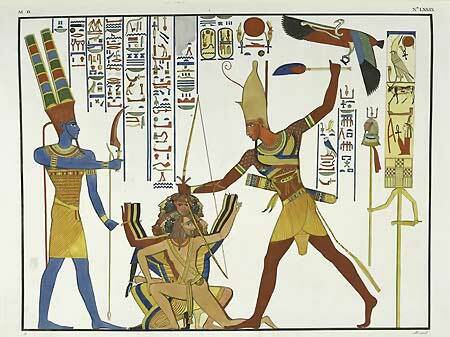 We renewed ourselves by the Code of Maat and discussed the plan of attack. The next day, we will go into battle. The Establishment of the Franks are ready. Some of our 2 dimensionals, traitors of Ta Kem are on the side of The Establishment of the Franks and have told them our plans. I hear they gave them green honey for their betrayal. I have never seen green honey. Some have seen it. They say when you look into it, you will see a fake Eye of Horus and a fake Pyramid. But we are not afraid. We have Maat on our side. Maat is greater than their green honey even when it is at its sweetest. The uprising will begin at dawn. I am ready. Aha is ready. Are you ready? Tomorrow at dawn, we will either perish or we will reclaim our third dimension. And the age of Maat will begin in Ta Kem. There is no other way. I know that. Do you know that? Will you be by my side at dawn when the order of battle is given? I will be waiting for you not just me but also The Organization. Dear Atheists: Welcome The God Particle From Ntoaboma. I have to give it you. This is a strange story but deeply mathematical. I can understand the import. From the internal viewpoint of this story, the African mental reality is composed of sensations, logic and the images of their great past. This essay establishes a comfort zone with the audience before it asks for a quiet observation or self examination. The inspiration here is pure – that men tend to heal in private, through introspection and quiet thinking. And this story supplies the fodder to do just that. The call to arms can be thought of as both sensational and logical and laden full with the imagery of Africa’s great past. The story amply feeds any intellectual African the diet he/she needs to take a painful look at themselves and ask why we have fallen to the 2 dimensional plane. The goals are also clear – we strive for that 4th dimension knowing all too well that we already have a hidden third dimension we may know nothing at all about. In achieving that fourth dimension however, it seems we have to regain our third dimension fully. Perhaps the Organization can help, or perhaps Amun Ra will shine his eternal light upon all of us from the apex of the Great Pyramid so our dreams will become fuller, and our depth of vision more profound. I believe in this arc of history. I believe we will transcend this space and we will transcend this time. The future is ours, let’s take it. It’s ours! Great essay and absolutely well-written. Eeey! My friend, you better tell me who you are. This 3rd dimension, 4th dimension and then is there a 5th, ad infinitum? When does it stop? Till we reach God, who is at the infinite dimension? My question is, except to break truly free for our own self-determination, how does this essay supply us with the tools to keep the fire fully stoked as it burns with our 4th dimension – when we get there. I think you or this writer must supply these answers since you think you know everything! Who said they knew everything? Do you feel upstaged? Or are you hanging ominously on to your newly acquired dollar? Poeple like you love to ask questions, and questions you would continue to ask, and nothing would come out of it. Instead you could apply your mind to something a little more useful, like Jehuti has eruditely accomplished here. Or you could leave your comment without your last statement. Eitherway, let me attempt to answer your questions. Since you like to go by Jesus, I would think that a similar Christian doctrine exists about reaching God after the apocalypse. The idea there, though crude, captures in essence what our Ancestors in Kemet believed in – that is fully reaching the essence of God, although not through destruction but through construction. The difference is that Maat strives to reach the infinite God through the building of a true civilization whereas other religions borrowing from Kemet, configured doctrines in contradistinction – that is to destroy to the lowest in order to reach God – the apocalypse. This is in sum the answer to your question. Yes, we have to keep going, ad infinitum. 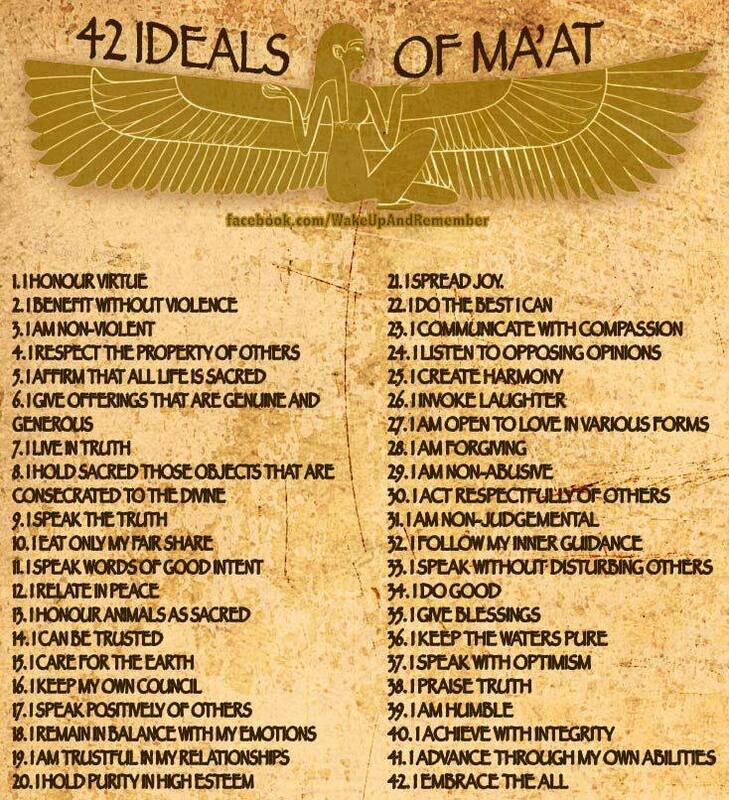 We must become fully civilized and fully observing the principles of Maat. And maybe that is called Amun. And our Ra would shine eternal. Ok. I have to accept. I take back the last statement, it was not civil. But I hope this exercise in shooting for the inifinite dimension may be an exercise in futility. HOW WOULD YOU KNOW IF YOU’VE NEVER TRIED? There is an understanding of the state of our civilization that is being examined here. African civilization lost its third dimension to cowries and then its loosing the fourth dimension our ancestors fought and died for to the dollar. I hope that changes. I see that Boko Haram is the new wiper that has been introduced into Africa to cause the continuous stagnation of the whole continent in discovering the third dimension let alone strive for the 4th. How we handle them will mark our state of maturity now. There comes a time in our lives when we have to make sense of our world. The world around us is full of mystery and you seem to have provided us with a tool to understand its complexity. The idea of dimensions is well placed. The fourth dimension is perhaps the most exciting of all – everyone should try to attain it. In a fast changing world I wonder if it is terribly expedient to define these dimensions according to civilizations. Knowing that civilizations have borrowed from one another and shared knowledge to large extents, I wonder how fast approaching the 4th dimension and further beyond it creates a better world and a better future for the planet. For example, China has (re)-discovered her third dimension – if that is safe to say – but the world’s resources are fast depleting because of it. My question hence, is the 4th dimension the reach for balance and sufficiency? Or would such an achievement by say African Civilization, exacerbate the plight of the planet based on the havoc visited upon it already by a West that had no idea about how to mange and handle the 3rd dimension? Good question, the logic and the mathematics are clear. What I am unsure of are the political and Geo-economic ramifications. Alas are these dimensions only characterized by a civilization that consumes more? Or does achieving the 4th dimension by African Civilization (re)-establish the Eco-balance that existed for more than 10,000 years before Greece learned civilization, the wrong way, from Kemet? I think dimensionality is used in this essay to denote complexity. I guess where I struggle too like you is the fact that complexity has not necessarily translated into Sophistication – by which I mean a society so highly advanced that they don’t have to sell weapons to poor people, they don’t have to put people in jail for absolutely no law enforcement reason, they don’t have to demonize anyone and they don’t have to cause trouble in other people’s communities. The West has shown that there are two types of complexities – destructive (chaos) and constructive (order or balance). Ma’at definitely denotes the later and so far, it seems only Kemet came close to achieving it. Hopefully African philosophy can offer us a new way to the future devoid of chaos. It seems that a war of philosophies has been launched here. Russia proposes a non-linear affair, China a Confucius approach, Africa a way of life based on Maat. And the West? Freedom? That is certainly becoming boring by the second. It is not fooling anyone anymore.